Paperback, 4.75 x 6.75 in. / 100 pgs. 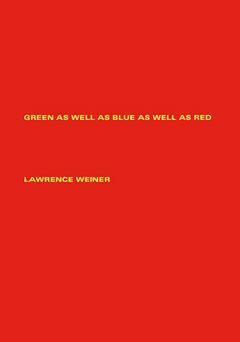 In 1972, Lawrence Weiner (born 1942) published his ninth artist's book: Green as Well as Blue as Well as Red. 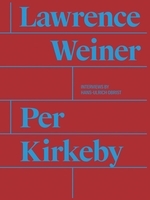 "The book came about because of an exhibition of the work at Jack Wendler's gallery in London," writes Weiner. "I asked Jack if he would make a book & he said yes. He found a printer and the book was made." 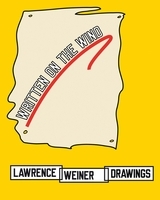 Edited by Alice Zimmerman Weiner. Foreword by Bartomeu Marí. Introduction by Soledad Gutiérrez. Text by Kathryn Chiong, Gregor Stemmrich. FORMAT: Pbk, 4.75 x 6.75 in. / 100 pgs. Published by Zédélé Editions/Reprint collection.